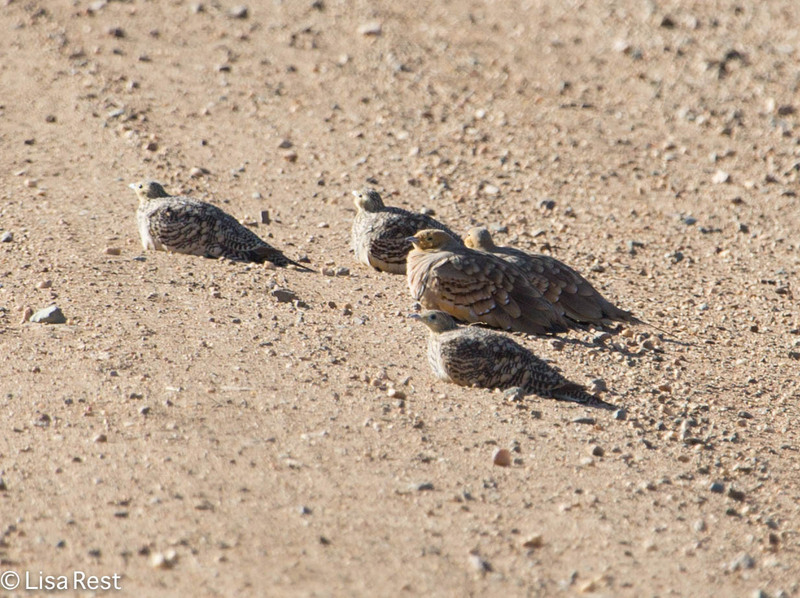 I don’t know what the collective term is for a flock of Sandgrouse, but “celebration” would be fitting. 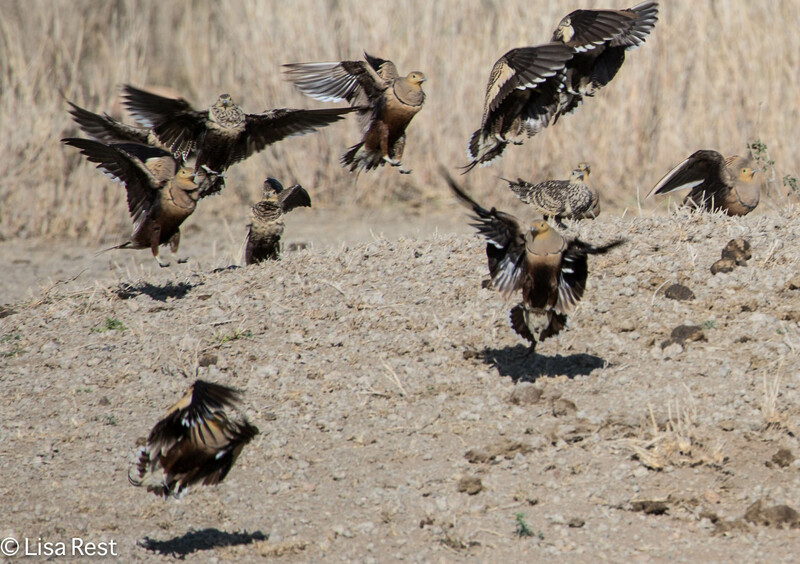 One day in the Serengeti, we encountered one such celebration. 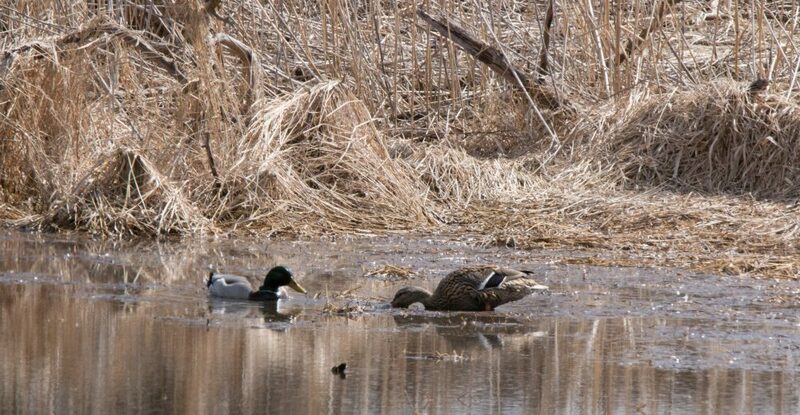 There were flocks of two species present, actually. 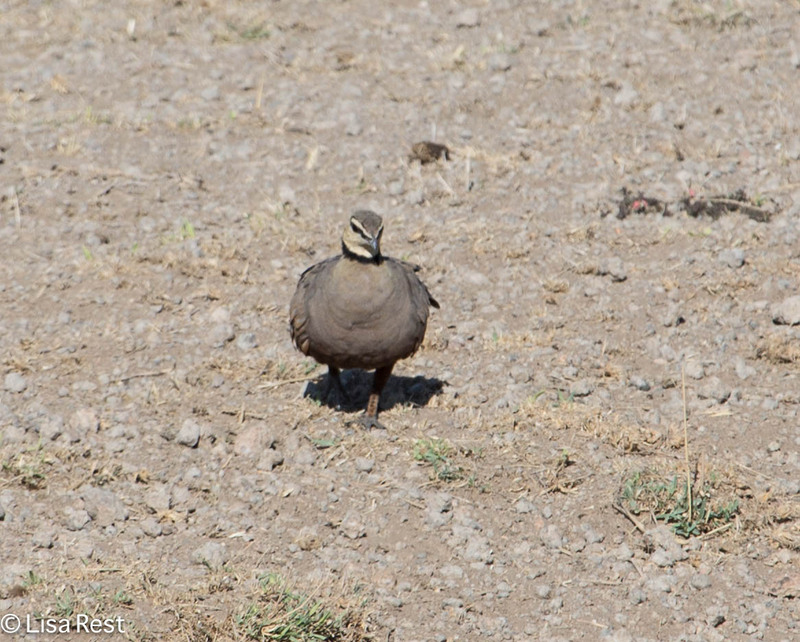 And I’m thinking I have yet to see one “grouse” of any kind in North America. 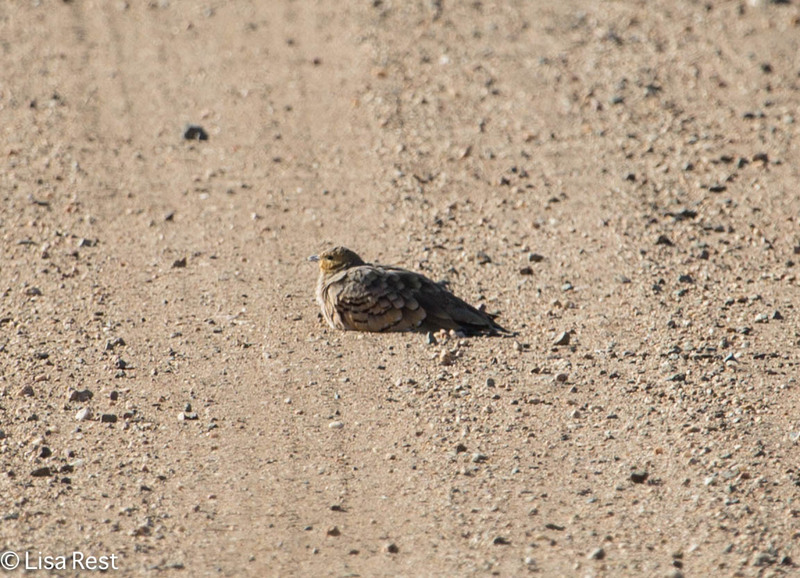 First, there were the Chestnut-Bellied Sandgrouse in the middle of the road. 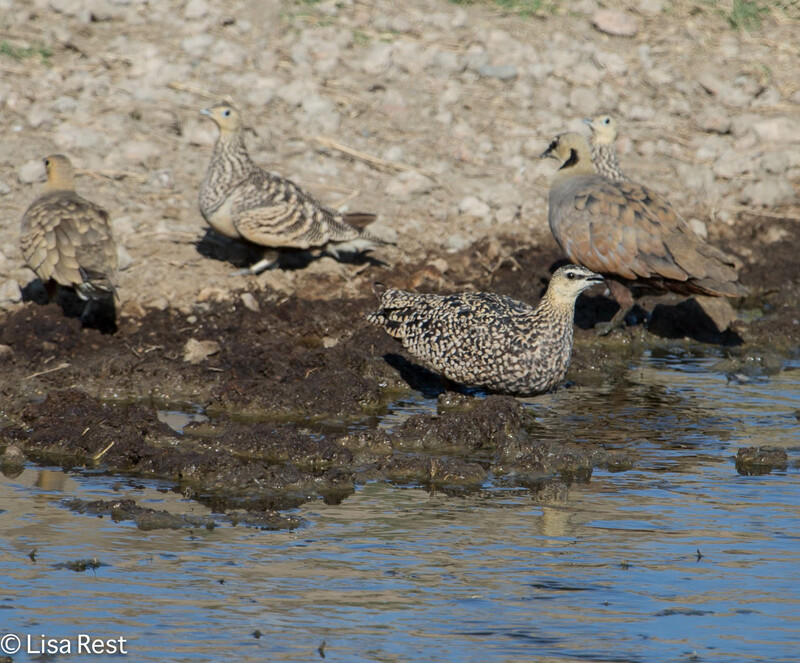 And then Yellow-Throated Sandgrouse appeared. Fancy little birds. 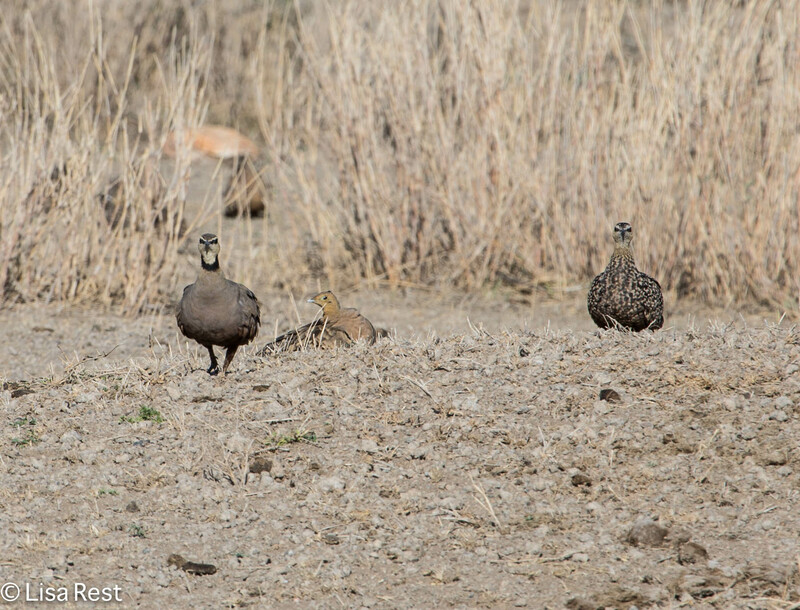 They tend to blend right in with the sand, but were still out in the open. 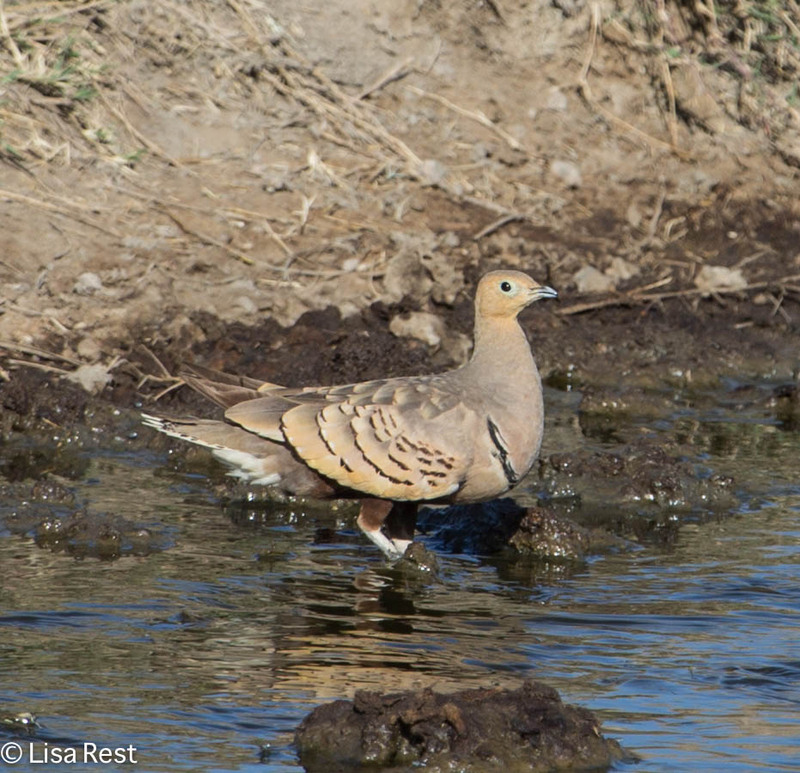 This entry was posted in birds, photography and tagged Chestnut-Bellied Sandgrouse, Sandgrouse, Serengeti, Tanzania, Yellow-Throated Sandgrouse by Lisa Rest. Bookmark the permalink.